One girl's journey to find a local equivalent for her favorite New York workout. The greatest workout class I have ever taken was at a studio called 305 Fitness on 8th street in New York City. 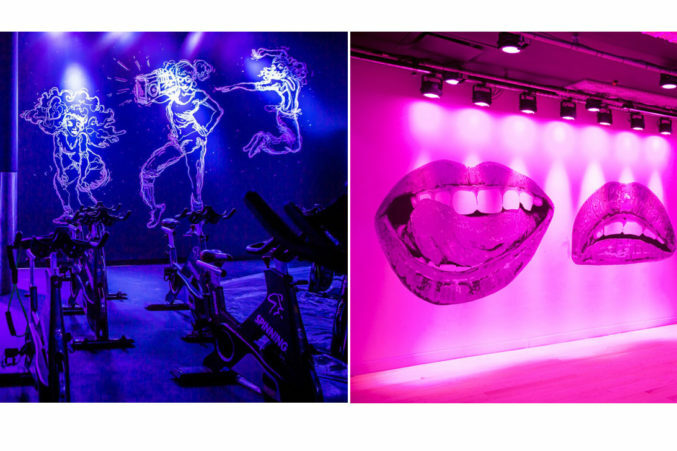 The dance-cardio class had a live DJ, vibrant murals and neon signs (an homage to founder Sadie Kurzban’s Miami roots), and an addictive energy that could rival SoulCycle’s. It was a party. It was also a killer workout. For years, I’ve hunted for a Dallas equivalent. I’ve hit up many a class that mentioned the words “dance” and “cardio” in their description filled with hope, only to be let down by the rigidness and the general lack of Beyoncé songs. The magic of 305 is apparently quite elusive. Yes, shaking it to Sean Paul with a group of strangers feels awkward at first, but after a few songs, all self-conscious feelings fall to the wayside. It’s partially the endorphins, but there’s something specific about 305’s blend of an uninhibited instructor’s infectious energy, a club-like atmosphere, and high-intensity combinations that was apparently impossible to reproduce. Then I met Brit Rettig. My only real knowledge of Rettig’s studio, Grit Fitness, was my friend’s experience with the Grit HIIT class; a type of workout I actively avoid at all costs. This is, as I now know, just one of many classes Grit Fitness offers. While meeting with the studio owner to talk about her new Park Cities studio and impending smartphone app (which will be awesome; more on that later), 305 Fitness came up. “I’m really good friends with Sadie, the founder,” Rettig said. Embarrassingly aggressive gasp from me. 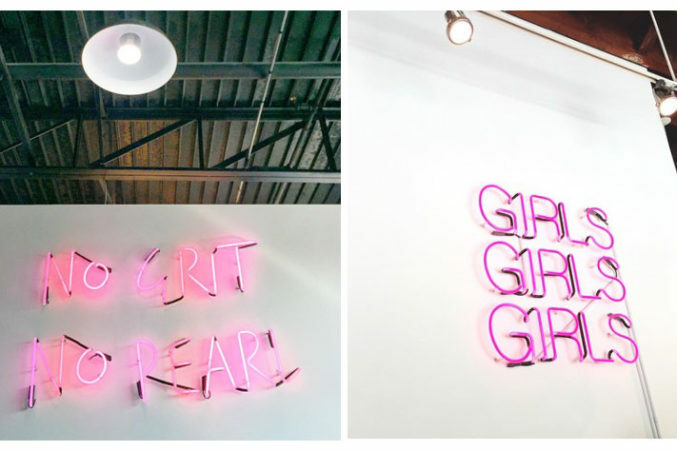 Neon welcome signs in Grit Fitness and 305 Fitness. Instagram by @iamchiaramarie and me. Of course, the only thing Rettig didn’t love about 305 was the variety, which is why there are so many other styles of workouts (spinning, yoga, kickboxing, etc.) in addition to their Dance Club Cardio class. They had a 7pm dance-cardio class that night. I attended, of course. Some things were totally on point (neon signs! dark room! amazing, energetic instructor! ), some things were a bit off (no DJ, which created some lulls between songs, lessening the intensity), but the magic was intact. So, dear readers, whatever goals you have in the year 2017, just do yourself a favor and go to a dance-cardio class at Grit Fitness. Because it’s awesome, but also because I spent three years looking for it, and someone besides me should really benefit from that.